How Do You Start Consuming Foods That Are Clean? It could be the new natural café down the block, the recent Cosmopolitan article about Gwyneth Paltrow’s new eating trend, or the recent spur of social media posts raving about it that cued you to the newest eating craze. No matter how you’ve come to hear about it, the fact is, clean eating is the new thing. What Does Clean Eating Mean, Anyways? Many diets have complicated ins and outs; you can only eat 100 grams of protein per day, vegetables—except those that are orange—and fruits only before 11am, but only on Tuesdays and every other Friday. You probably lose weight just doing the math that goes along with dieting. Clean eating, however, is simple. The idea behind clean eating is being mindful of the food you eat and the process it went through between its source and your plate. Simply put, clean eating means consuming whole foods that are minimally processed or handled and that are as close to their basic or natural state as possible. If it Sounds so Simple, Where’s the Challenge Then? Urbanization has caused a lower availability of fresh produce, making it expensive, and on-the-go lifestyles are pushing us to eat out more and cook less. Eating whole or “real” foods has become a challenge. Clean eating is really beneficial for your body and can do wonders for your health. To understand why, let’s talk about processed foods first and why they are bad for you. There are many types of food processing and not all processing is bad. Whenever we hear the words “processed foods,” we think hot dogs, but even the broccoli you steam at home goes through some kind of process. Processing that is used to remove bacteria (or prevent it from growing), for example, is necessary and it may in fact allow you to eat certain fruits and vegetables when they are not in season through freezing or canning. Food processing that is used to insert additives in your food is one type of processing you should look at carefully. Whether it is fat, sugar, or salt used by food manufacturers to enhance flavors, or preservatives used to prevent food from getting spoiled quickly, these additives are typically chemical processes that alter the natural state of food. Because these processes change the natural food’s form, they reduce the nutritional value of whatever you consume, and in many cases, add unnecessary elements to your body. Processed foods can also mean the addition of vitamins and minerals that enrich things like your breakfast cereal. The type of processing you need to be most wary of is ultra-processed food. Genetically modified organisms or GMOs have been linked to health issues ranging from cancer to infertility. In the best cases, foods that are highly-processed are devoid of the nutrients you need to maintain a healthy lifestyle and contain additives leading to the excessive production of dopamine and the activation of “pleasure” neurotransmitters, which foster a vicious cycle of persistent junk food cravings. Clean eating is about consuming the healthiest choices in food groups. This means eating whole foods such as fruits and vegetables, as well as whole grains. Clean eating is all about reducing your intake of additives, refined grains, preservatives, large portions of sugar and salt, as well as unhealthy fats. Consuming more vegetables and fruits and reducing the consumption of processed foods can have a very positive impact on your health. Various studies have shown that plant-based diets are good for you. 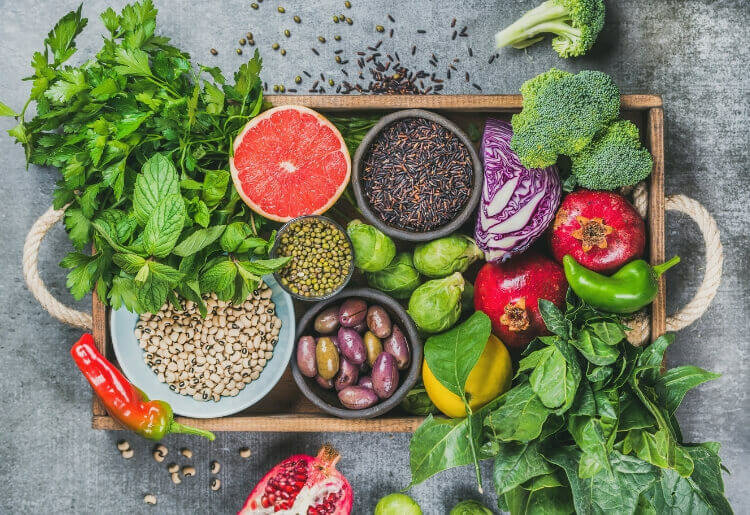 Diets that are big on fruits and vegetables have been known to prevent conditions that are life-threatening, such as high blood pressure, diabetes, and even breast cancer. Vegetables and fruits have been likewise associated with better mental health, healthy weight management, and glowing skin. First, you need to change your mindset. When the thought of a blueberry muffin pops into your head, think about the ingredients that go into making it and replace the muffin for the healthiest ingredients in the recipe, in this case, blueberries and oats. When you go to the grocery store, start in the fruits and vegetables aisle. When you get to the packaged foods section, read the labels. Buy brands and products that list “real food” ingredients. If you can’t pronounce the ingredient, you probably shouldn’t eat it. Keep the ingredients of your meal to a minimum while ensuring you have a source of lean protein, whole grains, and healthy fat in your meals. You may also want to eat slower. Between bites, savor the texture and flavor of your food. Consuming food mindfully will keep you satisfied longer between meals. time, since it would help regulate not only the digestive system, but also your blood sugar and insulin levels. If you think food deliveries only offer you pizzas and pad thai, you are in for a pleasant surprise. 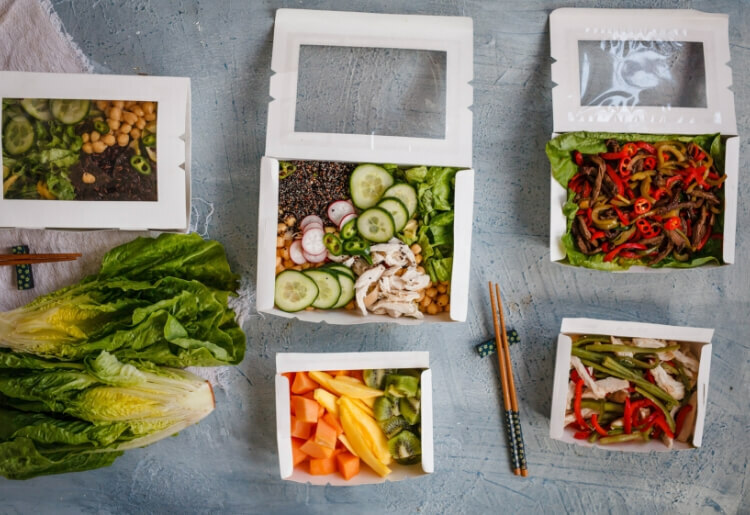 There is an increasing number of meal delivery services that offer “clean eating” menus and adjust their offering to meet any special dietary needs or restrictions. In addition, restaurants offering delicious organic and antibiotic-free food delivered right to your door are not uncommon anymore. Other services offer weekly meal plans with choices that are not only convenient but also affordable. about going back to a simpler, healthier method of preparing food and eating, making it a habit that you can follow for life. It’s a way of forging a healthier and better version of you. Eating clean foods can help you attain your weight loss or health management goals in a sustainable and healthy way. 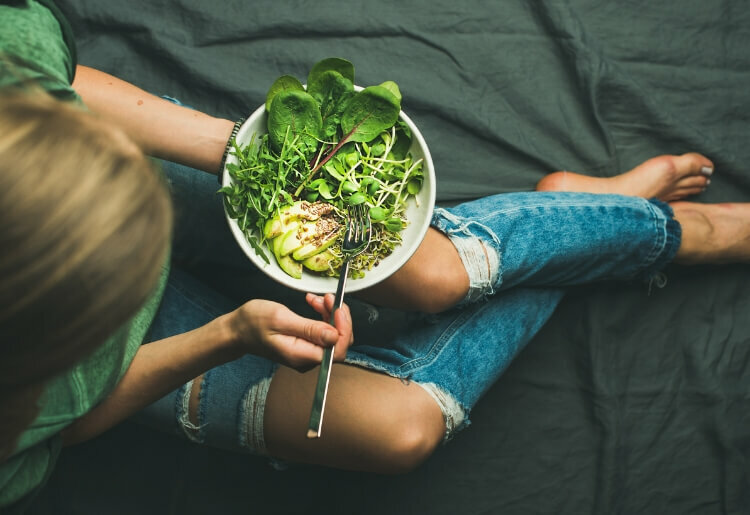 By raising your intake of clean foods and reducing items that are processed and unhealthy, you’ll greatly improve your overall health and wellbeing in a way you can see and feel.